Earlier this month, the U.S. Supreme Court decided to hear King v. Burwell, a case involving a challenge to the IRS’s interpretation of insurance subsidies under the Affordable Care Act. The issue is whether subsidies are available to those in states that have not created an insurance exchange. The IRS took the position that subsidies are available through either state or federal exchanges. If the Supreme Court strikes down the IRS’s interpretation, arguably, individuals and employers in states without an exchange will not be subject to the ACA’s mandate. However, employers and individuals in states that have an exchange (like CA and NY) will still be subject to the ACA’s mandate. The fact that the Supreme Court decided to hear the King case came as a surprise as it generally does not do so unless the Courts of Appeals have issued conflicting decisions. The D.C. Circuit has agreed to re-hear a case raising the same question, so there is not currently a clear split. The case will be heard before the end of the Supreme Court’s term in June 2015. The effect of its decision on the ACA will not be clear until the Court has made its ruling. 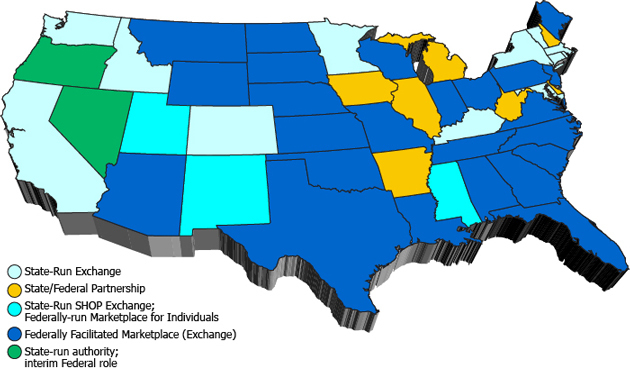 Below is a depiction of some of the states that have made their own exchanges. More information about the ACA can be found on Media Service’s website. If you’re the production accountant on a film or show, or if you’ve been tasked with this job in addition to 20 others, you want only good surprises. Instead of sending you and your producer (who might also be you) into panic mode as production nears wrap, put these simple practices in place for a smoother ride throughout the shoot and post. 1. Get your POs early and often. Purchase orders may seem like a hassle to department heads, but they are an essential part of keeping good books, avoiding devastating overages and missed opportunities. Almost by definition, a PO should not be created after an invoice has already been received. While department heads may whine and make pouty faces about having to submit POs for every invoice-worthy expense, a little effort on their part can go a long way toward keeping you organized and on budget. Be proactive in this regard. If you are not seeing any POs from a certain department, go to the department head and find out why (we stop short of saying “bug them,” but we encourage creativity in your methods of obtaining cooperation). Submitting all the POs at the end of production creates a nightmare for you, i.e., the accountant who needs to reconcile the money spent against the amount originally budgeted. This cuts both ways. If expenses turn out to be significantly below what was budgeted (since you properly padded the budget, right? ), there may be an opportunity to move that money around to other departments that have had to skimp. Entire shot setups, once deemed unshootable due to budget limitations, can be resurrected based on savings found in various departments. Without POs, you won’t know what those savings might be. Even more of a crushing blow is caused by missing POs that turn out to be higher than the amounts anticipated. If you’ve ever been in the production office at the end of a show and seen a slew of unexpected invoices come in, you know the kind of mayhem and agony this can cause. 2. Bank recs can save you from bank wrecks. We’d all love to live in a world where banks don’t make mistakes. We’d also love to live in a world where magical, wish-granting unicorns fly over rainbows made of delicious taffy. But in the real world, banks do make mistakes. All the time, in fact. Even if your own bank is flawless, your vendor’s bank or check cashing center might (accidentally) cash their check for a higher amount than you intended to write it for. This little mistake could cause you a big headache, as your account could be overdrawn. Worst of all, you would never know where the mistake took place. Unless, that is, you or your staff perform bank reconciliations on a regular basis. Doing bank recs is a simple but essential preventive step you can take to make sure your cash balance on your trial balance is always correct. Without bank recs, you’ll just never know. 3. Make your Cost Reports regular to avoid getting backed up. On a big show, cost reports are unavoidable. There’s usually even a weekly cost report meeting just to talk about it – the words “cost report” are right in the name of the meeting, so you know it’s important! On smaller productions, sometimes this report can fall by the wayside. Don’t let it. The value of weekly or biweekly cost reports cannot be overstated. As the accountant or producer, you can’t afford not to know where the money is actually going and where the variances are from your original budget. Related to the PO issue we beat to death above, a regular cost report can give you a snapshot picture of which departments are spending less than expected and which are spending more. It’s crucial to take this information in regularly, not only to know if you’re on budget overall, but also to see if you want to shift some of your budgeted dollars to other areas. Many accountants like to go from the cost report right into the bible for the show, to get a more detailed look at which accounts are being hit the hardest. In our own production accounting platform MediaWeb, we’ve taken the cost report and merged it with the bible to get what we like to call the cost bible report, which combines the best of both. So you can get the Estimate To Complete and Estimated Final Cost columns right alongside the details of where the money was spent. Super fun, you guys. 4. Get a kickass payroll accountant. Why would we swear in this otherwise staid article about production accounting? Because it’s that important. You need a great payroll accountant. If your production is too small to have a dedicated payroll accountant, make sure your general production accountant knows payroll. Really, really well. These factors are important not just intrinsically, but because of the future ramifications of getting them wrong. For example, when you run that cost report you’re now generating regularly (right? ), if employees are being inadvertently underpaid, you might mistakenly think you just found a windfall of funds in your payroll budget, and spend that money elsewhere. But when crew members come back later – sometimes even after production has wrapped – and claim you have shorted their pay/contributions/fringes, you’ll now be liable for back pay plus penalties… possibly on the entire crew. This is a huge unanticipated cost for the show, so it’s essential to get it right the first time. It goes without saying that you need to research various production locales if you’re thinking about going for incentives. No two incentive programs are alike, and you’ll consider many factors when deciding which works best for your production: refundable, transferable, grant, resident/nonresident, qualified spend, travel costs, etc. But once you’ve made that decision, bought your plane tickets to Timbuktu and contacted the film office to find out the best rib joint in town, you’ve still got a long way to go before you actually get the credit/rebate/free snow globe back. And the amount you get back in the end can vary greatly depending on how well you understand the incentive in the particular region, and more importantly, understand their accounting requirements. A lot of productions leave money on the table by not knowing exactly how and which expenses to track, as well as how to report out those expenses in a format the state will accept. Make sure you work with a production accountant who understands the requirements for top incentive states, and verify that your accounting system has the reporting capacity to adequately document your qualifying expenditures. Have more questions about production accounting? Visit our production accounting section online to learn more, and to find out about our in-house or on-location production accounting services. You can also read about MediaWeb, our best-in-class, fully online production accounting platform. Manatee County, home to the popular Gulf-side filming destination Bradenton, has approved an incentive program consisting of up to a 10% cash rebate and in-kind local perks. The cash deal is not for newcomers: applicants must have completed five feature films or television episodes, or have had at least one theatrical release or one television series on a major network. So far, specifics are only spelled out for smaller productions. The rebate amounts to a $25,000 return on a project budgeted at $250,000 to $500,000, and up to $50,000 on projects budgeted between $1 million and $5 million. Bigger-budget productions can negotiate a cash incentive. The plan is being administered by the Bradenton Area Convention and Visitors Bureau, according to the Herald-Tribune. The bureau assists filmmakers with finding and securing locations, and says it has done so for some 24 film and video projects in the last fiscal year. • Free filming at county properties such as beaches, Port Manatee and the local courthouse. • A free hotel room for the producer with 25 paid rooms for the crew. • Free use of office space and equipment at the tourism bureau. Read the full article at the Herald-Tribune. Check out our interactive production incentives map and learn more at media-services.com. As we all know by now, under the Affordable Care Act (ACA) employer mandate, an applicable large employer that does not offer affordable minimum value group health coverage to its full-time employees (and their children up to age 26) may be subject to employer-shared responsibility penalties under Internal Revenue Code §4980H. Whether an employer is an “applicable large employer” depends upon its number of full-time (and full-time equivalent) employees. Due to these provisions, the use of independent contractors can become an even stickier wicket than before. Some production companies classify workers as “independent contractors,” “consultants,” “contingent workers,” “freelancers,” or other similar terms. These would include those workers working through a “loan-out” company (Corporations, LLCs, etc.). Employees (those receiving W-2s) are subject to wage and hour requirements, federal and state income tax withholding, FICA withholding, employment taxes, and, most recently, the ACA employer mandate. There are no such costs for independent contractors, such as those working through loan-outs, as the loan-out is the employer of the worker, not the production company. It is important for employers to understand the differences between an employee and an independent contractor, especially in today’s ACA climate. In addition to potential ACA penalties, significant tax consequences result if a worker is misclassified as an independent contractor and is subsequently reclassified as an employee, including: liability for withholding taxes, interest and penalties, and the potential disqualification of employee benefit plans. Insurance coverage can be offered to those workers working through a loan-out, and ACA penalties may be avoided; however, as mentioned above, employers may still be subject to other tax consequences should the IRS determine the worker was misclassified. It’s important for every employer to review the common-law employee rules, makes sure it has properly identified all of its common law employees as employees. More information is available on the IRS website here. Media Services’ ACA Benefits Eligibility reports for the purposes of tracking hours has mechanisms built in to include or exclude loan-outs, based on the production company’s preference. Additionally, our insurance plans allow the participation for those workers working through loan-outs to enroll in their chosen plan. Learn more about our ACA-compliant health plans with the lowest premiums in the industry. It’s official. California’s Film and Television Tax Credit Program will expand from a $100 million annual cap to $330 million, thanks to a bill signed into law today by Governor Jerry Brown. Also on hand for the Hollywood ceremony were union leaders, Los Angeles Mayor Eric Garcetti and California Film Commission Director Amy Lemisch. The governor, who worked out the compromise expansion with state assembly and senate leaders, praised the job creation aspect of the upgrade. “This law will make key improvements in our Film and Television Tax Credit Program and put thousands of Californians to work,” said Brown. The agreement increases the tax credit to $330 million a year for five years beginning with fiscal year 2015-16, replacing the much-maligned lottery system currently in place. In addition to increasing funding for the tax credit, the bill expands eligibility to big budget features, 1 hour TV series and pilots. Additional incentives will be put in place to reward shooting outside the Los Angeles 30-mile zone, as well as for keeping visual effects and scoring in the state. “Not only does extending the Film Tax Credit keep cameras rolling in California, it will keep costumers designing, craft services catering, and carpenters hammering. It’s just common sense – when California hosts more production, we get more jobs and more revenue – two things our state can always use,” said Assembly Speaker Tony Atkins when the deal was first struck with the governor. Under the expanded program, in place of the lottery system applicants will instead be ranked according to net new jobs created, as well as overall positive economic impacts for the state. The legislation, AB 1839, was authored by Assembly members Mike Gatto (D-Los Angeles) and Raul J. Bocanegra (D-Los Angeles).